After yesterday's gloomfest I feel obliged to bring a bit of happiness back to the advent calendar. 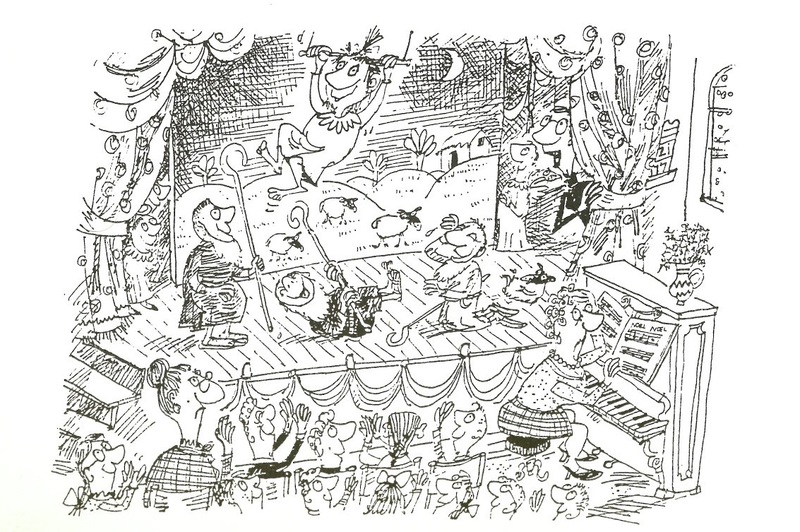 And what could be happier than The Happy Christmas Book, an annual of the old fashioned kind, comprising of classic poems, carols and stories alongside comic strips, puzzles and things to make and do. 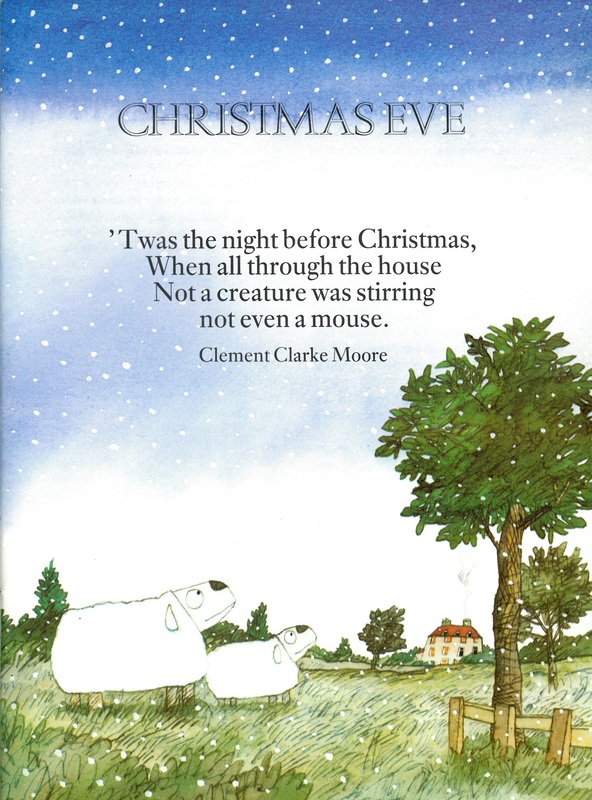 The Happy Christmas Book is mostly illustrated by Satoshi Kitamura, the genius behind books like Angry Arthur and Igor. He described his approach recently, 'I'd rather aim for something funny and happy than be gloomy. I've never done a story without humour'. My favourite type of children's writer then. Kitamura is mainly on illustration duties here, packing out the story with his trademark bemused looking animals, goggle eyed children and wonderful wonky landscapes. 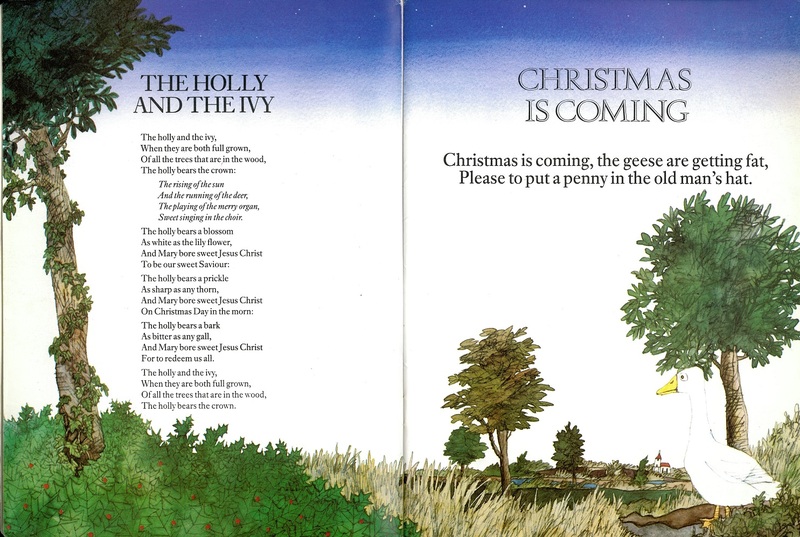 According to co-illustrator Colin West the publishers had 'some concern about him having drawn leaves on winter trees!' I rather love this touch, it feels strangely more real than the acres of white I see in books but barely at all outside. 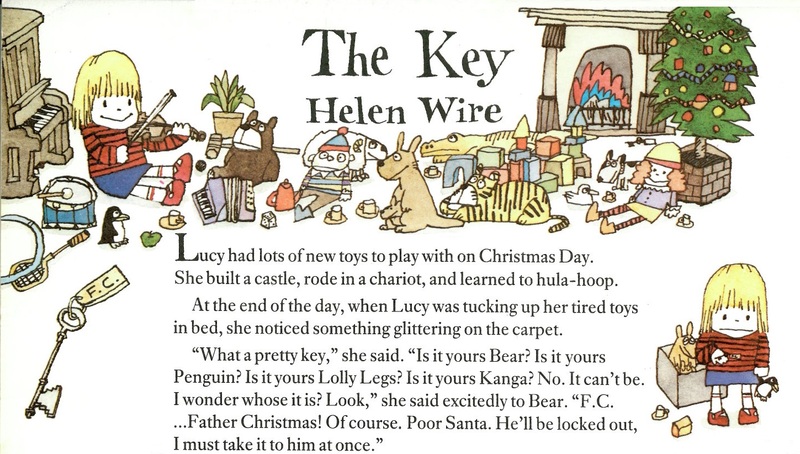 My favourite of the modern stories is The Key by Helen Wire. It concerns a girl called Lucy who discovers amongst her Christmas presents a key belonging to F.C. 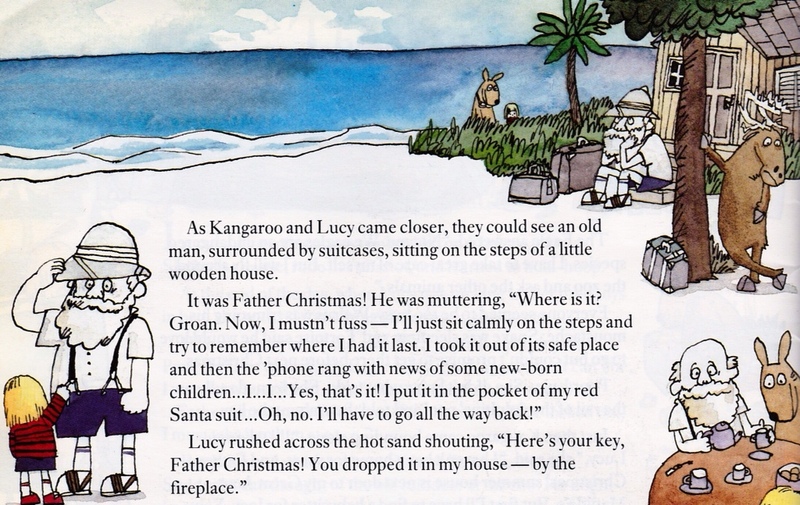 Lucy travels to the zoo to ask for directions from the reindeer, who is unfortunately too tired to guide her there. So she jumps in the pouch of a kangaroo and together they travel by dolphin to F.C's seaside cottage. And there waiting on the doorstep is a forlorn Santa, who has at least remembered his seaside wardrobe of pith helmet, shorts, braces, sandals and socks. 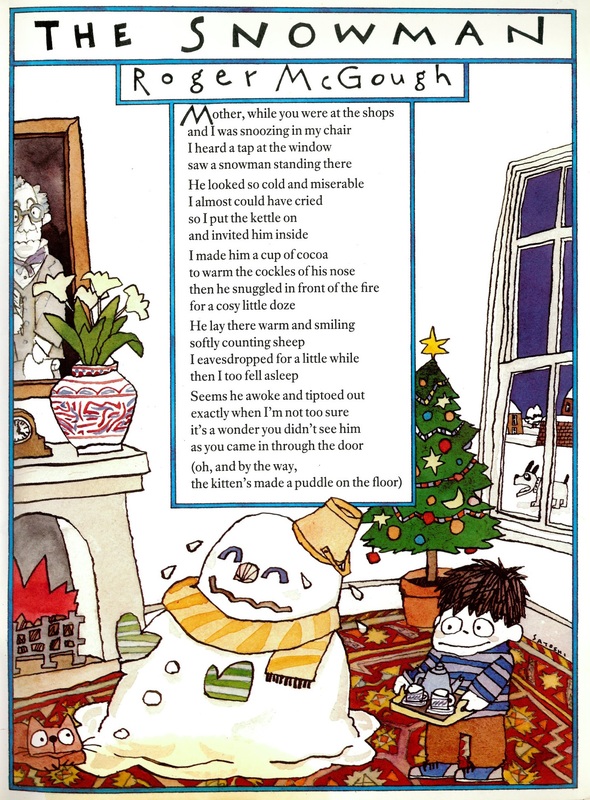 There's a fantastic poem called The Snowman, a sly take on the Raymond Briggs classic by Roger McGough. Just look at that angry red fire, the poor fella doesn't stand a chance. 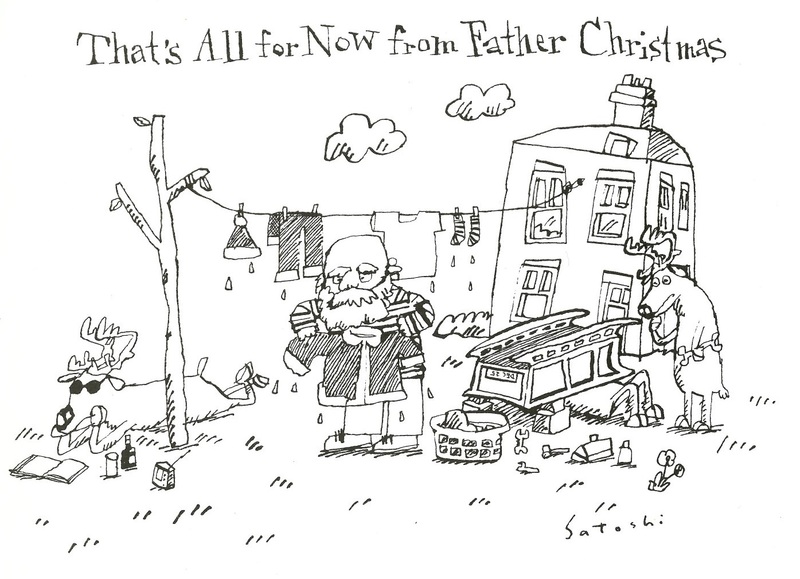 Joining Kitamura are major illustrators including Samantha Gretz, Inga Moore and Quentin Blake. Best of all though is Colin West's Scraggy Aggie, a wicked nativity story written by Lisa Taylor, whose cast perform some fine alternative Christmas carols. 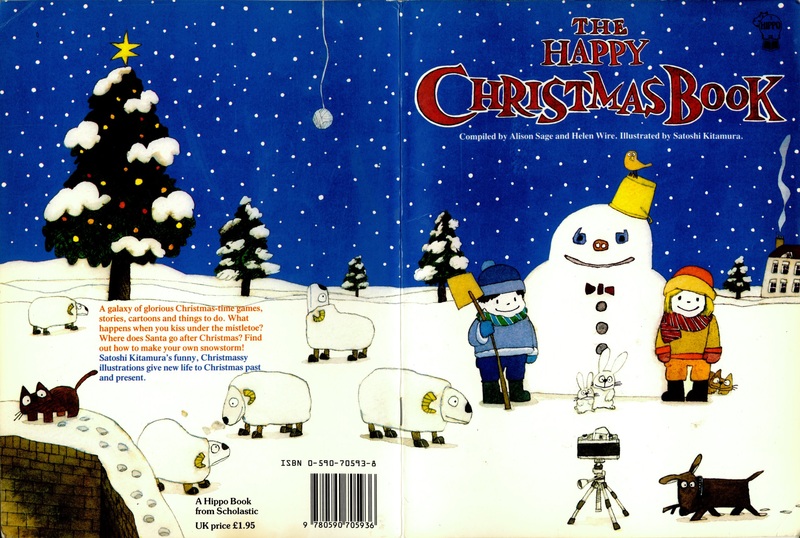 That's The Happy Christmas Book. 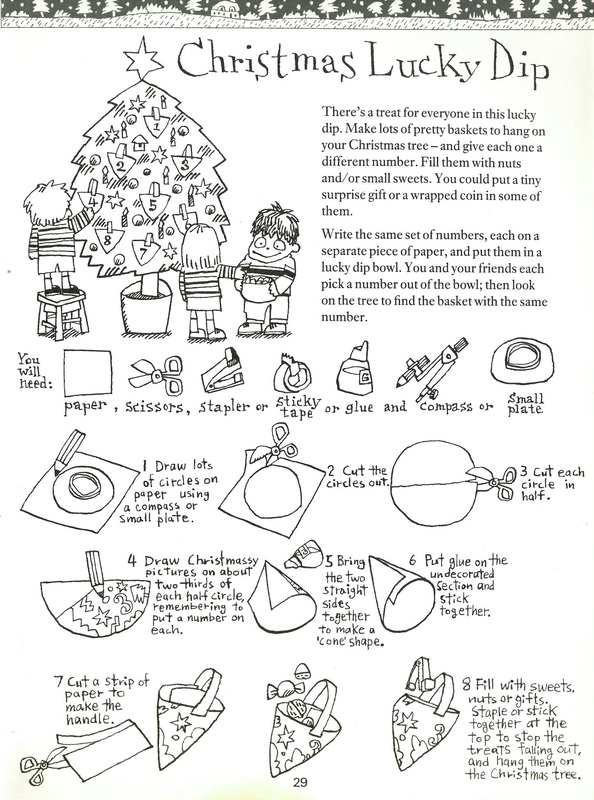 In an ideal world there'd be a new edition of this fab little Christmas assortment every year. Tags: Colin West, inga moore, Quentin Blake, Roger McGough, Satoshi Kitamura. Bookmark the permalink. Oh, what a discovery! Thanks for alerting me to this – I hadn’t heard of it before.